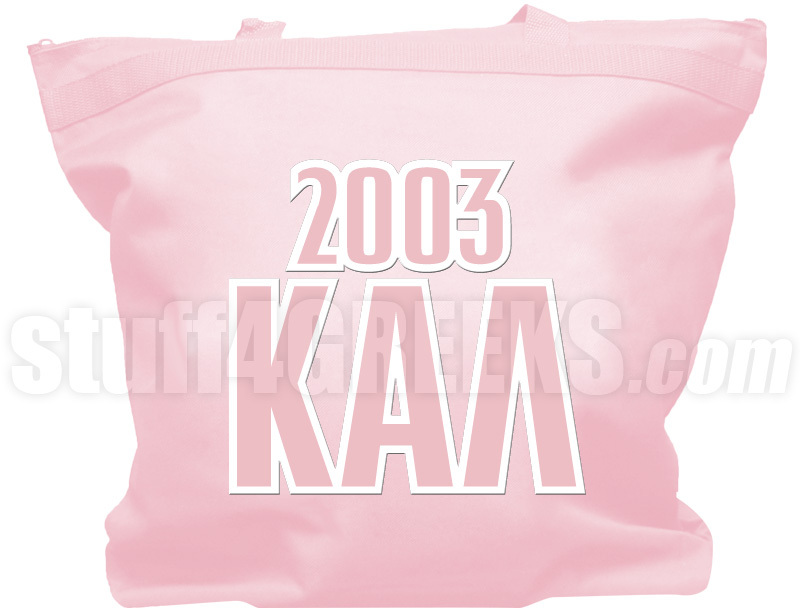 Pink Kappa Alpha Lambda tote bag with the Greek letters and founding year across the front. Letters and designs are sewn on. Don't like this tote bag? Looking for something different? Click here to make your own custom Greek bag.